Movement: Custom right-read Japanese direct drive quartz with hour, minute and LED light. Case: 36mm wide, custom 30 meter stainless steel with hardened mineral crystal, real wood, or enamel inlay and double gasket crown. 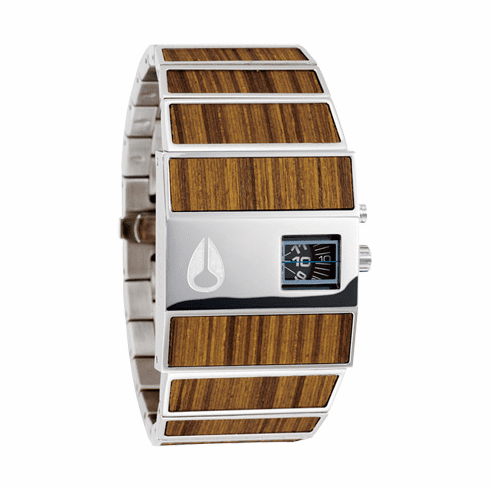 Band: Custom solid stainless steel with real wood, or enamel inlay and butterfly closure.